Our most critical initiative is our involvement in orphanages across the globe. We are currently partnered with 3 orphanage homes in Zimbabwe, Africa. These 3 homes are operated together. We are working to provide their food, education fees, education supplies, HIV anti-viral medications, and maintenance needs as necessary at the buildings. We travel to this region regularly to participate in the lives of the children. During these mission trips we are able to share the hope of Christ with them, worship together, study scriptures and communicate openly to share their joys and concerns, their hopes and their trials. We also enjoy much play and fun fellowship. Future mission trips will include "VBS", "handy projects" working the vegetable garden and the poultry project. The FUTURE plan for this community of orphanages is to implement a training center for the older children when they graduate from high school. They need skills and trade experience to survive beyond life in the orphanage. Once we have gained enough donor support to manage the care of these, we will partner with other orphanages in the world, depending on where God leads us. Education Scholarships. Whether local to the region of the various orphanages or opportuities in the United States, education is a primary focus and critically important. We currently have a student in the USA from Zimbabwe and intend to work to provide opportunities for more. 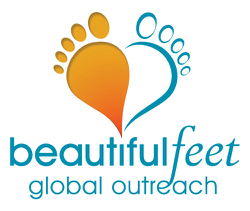 As our organization grows, BFGO will partner with other orphanages across the globe. ​*** Please take a moment to sign up for our newsletter and follow our blog. We use the blog to share stories, updates and to announce specific projects that need attention. Also we welcome you to locate us on facebook.